As with any growing industry, an increase in competition opens up choices available to consumers. 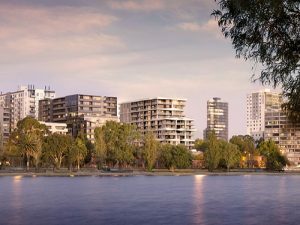 This is especially true for the strata services industry, which continues to experience an upsurge in demand as Australians become increasingly drawn to inner-city living. Recent statistics show that one in four Victorians now own or occupy a unit in an owners corporation (OC) and as the sector grows so too does client expectation of a more enhanced professional service. As clients expect to receive more “bang for their buck”, it is imperative to deliver new and improved services that match the varied requirements of each development. Melbourne Owners Corporation Services (MOCS) is one company staying ahead of the pack when it comes to strata management. As a leading, privately-owned strata services company in Victoria, MOCS combines extensive expertise with professional services that go far beyond basic OC management duties. From smarter use of technology to new methods that effectively engage with the various demands of larger owners corporations, MOCS caters to a wealth of developers across the state. Managing director of MOCS, Sherry Li, forecasts a widespread shift away from traditional OC management. As the strata services industry rapidly evolves, OC managers are increasingly having to offer more than just sound administration skills — they are now expected to manage and advise on complex strata issues. Li says there must be an active role played by OC managers. “This could include ensuring member access to relevant materials at the click of a button, offering innovative digital options, administering a teleconference for meeting absentees, or being able to speak multiple languages. “It’s important to offer a service that exceeds expectations and adds greater value to that of the client,” Li said. “All of our OC managers have extensive experience in the industry and most are bilingual. We also convene and attend all annual general meetings for the properties in their portfolio. With over 10 years’ experience in the industry, Li and her large team are continuously evolving and are committed to offering a service that boasts both the technical and legislative know-how that some other companies may not be able to offer. “We put our clients first, but we also understand the power of having a strong team to be able to achieve that,” Li said. “I encourage my staff to attend regular seminars to keep up with what is a quickly-developing industry. Remotely managed building infrastructures such as remotely operating lifts for move-ins/outs at residential buildings where there is no onsite manager. Through staying up to date with advancements in technology and other client-focused means, MOCS will continue to stay at the forefront of a rapidly evolving and competitive sector.